Jesus said, "Blessed are the merciful, for they will be shown mercy." Did you know that mercy is God's number one characteristic in the Bible? The world portrays God as a God of anger and judgment. But God shows himself first and foremost as a God of mercy. 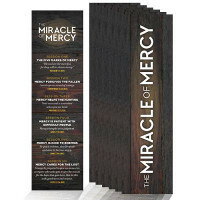 Pack of 25 bookmarks for The Miracle of Mercy campaign. 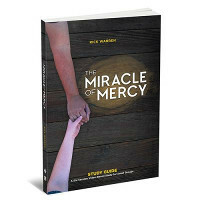 The Miracle of Mercy Study Guide includes study guides for all 6 small group lessons and a daily devotional for each day of the campaign (40 days).